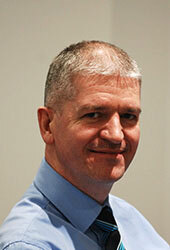 Andy is the firm’s Managing Partner and is also lead adviser to a portfolio of General Practice clients. Andy trained with Robb Ferguson, qualifying as a Chartered Accountant in 1986 before being promoted to the role of Audit Manager in 1987 and was assumed as a partner in 1988. Andy has clients in most business sectors, providing on-going key commercial accounting and strategic advice on a pro-active basis. 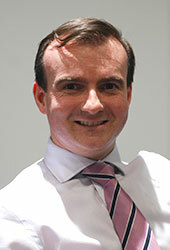 Andy has an extensive knowledge of tax and has considerable experience in corporate finance and related matters. Andy is also a Registered Auditor. Brian is the firm’s Tax Partner and he is also lead adviser to a portfolio of General Practice clients, having trained with a well-known city centre CA firm before qualifying as a Chartered Accountant in 1985. Brian then worked in senior tax roles at a Big 4 firm for 10 years before joining Robb Ferguson in 1995 and was assumed as a partner in 1996. 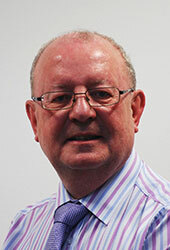 Brian has a wide range of clients in most business sectors, providing key strategic advice. In addition, Brian served on the ICAS Examination Board for many years and held the positon of Principal Examiner for Taxation. Brian is also a Registered Auditor. Graham is a General Practice partner in the firm having trained with Robb Ferguson, qualifying as a Chartered Accountant in 2003. Graham was promoted to the role of partner in 2008. Graham has clients in a wide range of business sectors, providing proactive commercial and strategic advice to clients ranging from smaller sole traders / partnerships to large multi-site multimillion turnover companies. As a practicing CA and Registered Auditor, Graham has a thorough knowledge of taxation and has considerable experience in corporate matters such as advising clients who are raising finance, buying/ selling, restructuring, succession planning etc. 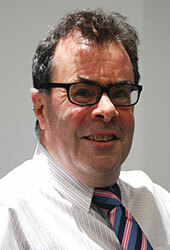 Graham is also involved in the monthly accounting and board reporting function for a number of clients. 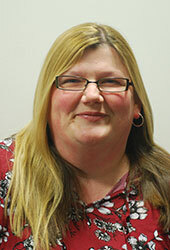 Janice is a qualified Chartered Accountant and Registered Auditor. Janice joined the firm in 1995 and qualified as a CA in 1998 winning the prestigious ICAS award for top student during her traineeship. After qualifying, Janice was quickly promoted to manager and then to partner. Janice heads up the firm’s Audit Department and she is responsible for the firm’s compliance with technical accounting and auditing standards. Janice also has an extensive and varied portfolio of clients in several sectors including, manufacturing, professional services and charitable organisations. Janice acts as lead advisor to several clients providing key strategic and commercial advice. Janice holds the position of ICAS Training Principal within the firm and is involved in the training of Chartered Accountants within the firms training program. Eilidh is a qualified Chartered Tax Adviser, having trained and qualified with a highly respected Glasgow tax practice prior to joining Robb Ferguson in 2018. 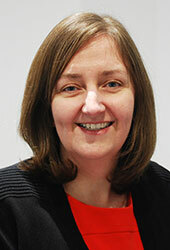 Eilidh is highly skilled and has extensive experience in all UK taxes. She regularly deals with tax planning matters, advising both private clients and owner managed businesses. Eilidh also manages the firm’s tax compliance team for a portfolio of private and corporate clients. 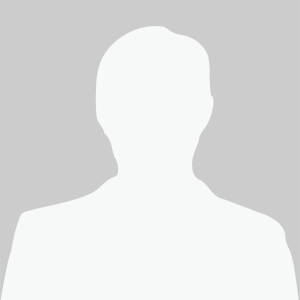 Tom has worked as a professional accountant for more than 40 years. Tom joined Robb Ferguson in 2005 having worked in a senior managerial role with a medium sized city centre firm of Chartered Accountants. 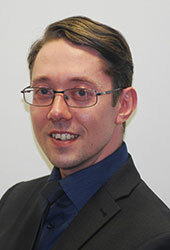 Tom is lead adviser to a portfolio of clients covering a range of business sectors. At the same time, Tom manages a dedicated team of accountants working in the Business Service Department. Angela is a Chartered Certified Accountant having trained and qualified with a smaller accounting practice based in Ayrshire. After a short spell in industry firm, Angela joined Robb Ferguson in 2005. Angela has extensive experience of various accounting systems and regularly works with clients to implement bespoke or improve existing accounting systems. Angela adores spreadsheets and is regularly involved in building financial models for financial reporting and forecasting. Angela manages a varied portfolio of clients and is also manages the firms Cloud Accounting Department and accounting team. Kenny joined the firm in 2007 as a trainee Chartered Accountant and quickly progressed to a senior accounting role before becoming a Manager in 2016. Kenny manages the firms Business Services, Outsourcing and Payroll departments and also deals with a portfolio of clients on a regular basis assisting with their management accounts, cash flow etc . Kenny is an approachable and enthusiastic member of the team. Alastair is a qualified Chartered Accountant having spent 17 years with a mid-tier Glasgow firm before joining Robb Ferguson in 2016 as a Senior Manager role. During his career, Alastair has developed a rounded tax knowledge which compliments with his extensive core accounting skills. 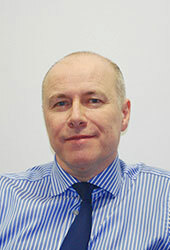 Alastair has considerable experience in audit compliance, managing the firm’s Audit Department. In addition Alastair’s client base is wide and varied and includes clients in healthcare, retail and in the charity sector.